Noah stayed at Nanny and Grandad’s last night, so Isla and I had a girly morning. We watched Labyrinth with our breakfast and then got out into the garden. 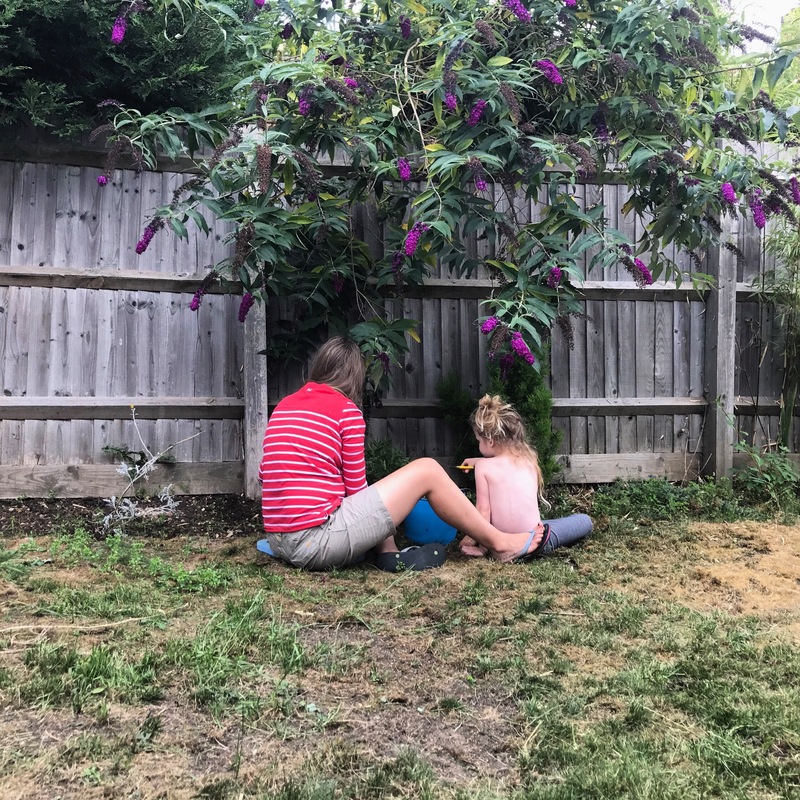 We cut the grass, trimmed the edges, picked up the rotten apples from under the apple tree, pulled out all of the weeds and Isla had great pleasure trimming back all of the plants that I told her not too! In all seriousness though, I am glad she is interested in gardening. It wasn’t for me, until my Grandad passed away, it’s a way of me feeling connected to him and Grandma – my Uncle too.